If you have already thought of pursuing B. Sc. in Biotechnology, then it is time to think about which college you want to go with. There are many colleges in Kolkata that offers quality education, the colleges have gained a lot of achievements and accreditations. 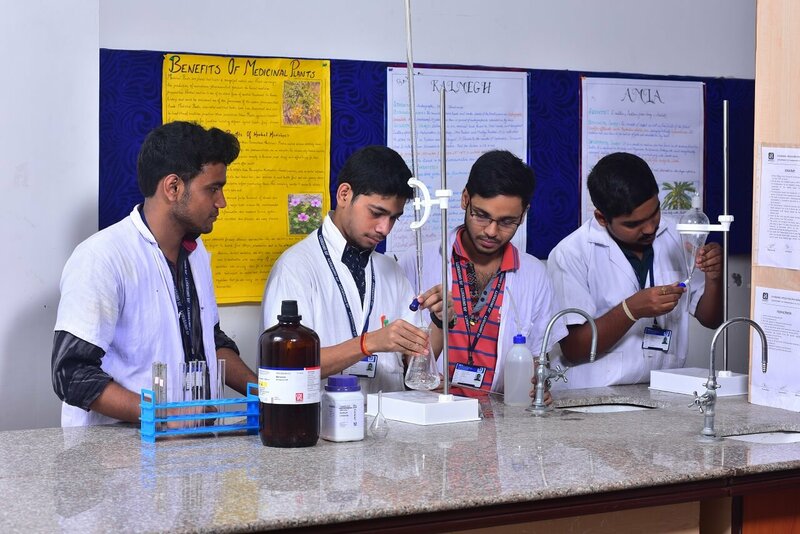 So, here is the list of the top-notch B.Sc in biotechnology colleges in Kolkata that can make your dreams come true. The mission of JIS University is to be one of the top-notch universities in India and an ideal destination for students, research scholars, and faculty members alike. Students, who want to study in JIS University can be assured of quality education as all courses are duly accredited and affiliated by University Grants Commission (UGC), New Delhi; Bar Council of India (BCI), Pharmacy Council of India (PCI), National Council for Teacher Education (NCTE) and United Nations Academic Impact (UNAI). The Institute of Genetic Engineering was established in the year 2003 to provide quality education to the students across the globe. The Department of Genetics, Microbiology, and Biotechnology was established in the year 2003 with a view to developing a Centre of Excellence in Education and Research in Genetics and Biotechnology in West Bengal. Primarily, it was started with UG courses (B. Sc. Hons) in Biotechnology and Microbiology. Established in the year 1879, Bethune College was started for the women of the nineteenth century, to create a new era of enlightenment and edification through education. It is a Government College under and it was Accredited in the year 2006 with the 'A' grade. Some of the alumnae like Kamini Roy, Sita Devi, and Shanta Devi were distinguished writers. Shobha Sen, the legendary actress belonged to this College. Guru Nanak Institute of Pharmaceutical Science and Technology was established years ago to provide the country with responsible citizens who would be professionally fortified to 'think globally and act locally' and become participants of society to meet the challenges of the country. The faculty members always cater to provide Industry-ready professionals to be developed through Interactive Teaching-Learning Process, Corporate exposure and project work. They also ensure to provide the best standards and practices of good governance that brings transparency of operations and improve credibility. Asutosh College being a pioneer institute of education in West Bengal is one of the first colleges in the state that was accredited by NAAC in the year 2002. Now the college is awarded a score of 3.22 CGPA and it is currently one of the best 4 affiliated colleges of West Bengal. The goal of the college is to deliver employment opportunities to every eager student on completion of his/her academic curriculum. The infrastructure of this college has ensured that the students are provided by the best education. With a great teacher-student ratio, Ashutosh college has been attracting a wide number of students across the country. So, these were the top 5 BSc biotechnology colleges in Kolkata. The colleges offer not only quality education to the students but the faculty, the infrastructure and the placement cell of these colleges are tremendous.